and we use this insight to better protect the rights and interests of our clients. We’ve helped thousands of clients - and we’re ready to help you from the moment you reach out for help! Our team has decades of combined experience. Allow our award-winning lawyers to protect your rights and future! Our lawyers are standing by to help with your injury or criminal case. Consultations are FREE! Our legal team at Suzuki Law Offices, L.L.C is proud to help individuals and families throughout Tempe battling with criminal charges or the fight for fair compensation after suffering preventable harm. Our award-winning lawyers have decades of combined experience, backgrounds as former prosecutors, and a passion for helping clients secure the results they need. Student at ASU? Need legal representation? Find what you need to know here. Our team is available 24/7 to help you during your time of need. If you wish to discuss your DUI or criminal case, or have questions about your right to compensation following an accident, we encourage you to take immediate action to contact our team for a FREE consultation. Acting fast and speaking with the right lawyer could make the difference in your case. Our firm places an emphasis on providing exceptional representation and creating customized legal strategies to solve our clients’ unique problems. Our record of success - which includes numerous successful criminal results and millions in compensation recovered for injured victims - proves that our focus and commitment are the driving forces behind our recognition and success. You can find more information about personal injury, DUI, criminal defense, and the types of cases we handle on our website. Remember - each case is different and entails its own set of unique facts and circumstances. This is why we always advise clients to speak with a member of our legal team for a personalized evaluation. Call (480) 568-6622 for a free case evaluation! The steps you take immediately after an accident or an arrest can be the steps that set you on the path to the right results. Don't waste time in getting helpful legal advice from proven lawyers. Contact Suzuki Law Offices, L.L.C. for a FREE criminal or personal injury case review. We serve clients throughout Tempe and the surrounding areas of Arizona. When you need legal help, Suzuki Law Offices, L.L.C. is available 24/7 to respond to your call. We offer free and confidential case reviews, and are ready to explain how we can fight for you! Membership in the Million Dollar Advocates Forum® is a significant achievement earned by top trial lawyers who have secured verdicts or settlements of more than one million dollars. Inclusion in this prestigious organization is reserved to only the most successful personal injury lawyers - less than 1% of U.S. attorneys are members. At Suzuki Law Offices, L.L.C., we believe this achievement speaks for itself. National Trial Lawyers Top 100? The National Trial Lawyers: Top 100 is an invite-only organization that recognizes some of the country’s premiere trial lawyers. Attorneys who become members of the Top 100 Trial Lawyers have exhibited exceptional skill and ability - and have passed a rigorous multi-phase selection process. Suzuki Law Offices, L.L.C. is proud to be a part of the Top 100 Trial Lawyers. The National Trial Lawyers: Top 40 Under 40? The National Trial Lawyers: Top 40 Under 40 is composed of young trial lawyers from around the country who have established themselves among the top of their fields. Recognition is reserved for attorneys under the age of 40 who exemplify superior qualifications, trial results, and leadership. Our firm is proud to have lawyers recognized by this organization. The Better Business Bureau acts as an objective gauge of the quality of a business, their commitment to clients, and their ability to provide the services and results consumers need. The BBB issues letter grades to practicing businesses in the U.S., which is intended to be used by consumers as they make choices about the service-provider they want to help them. Suzuki Law Offices, L.L.C. holds an A+ rating from the BBB - the highest rating available. This should make you confident about trusting your case to us. As members of the not-for-profit Arizona Attorneys for Criminal Justice, we have demonstrated our determination to protect our clients as they navigate an unfamiliar system and work toward refining the system to ensure justice is available to all. Because we place tremendous value on the pillars of American life and justice, we are happy to be part of the American Bar Association. The ABA is one of the biggest legal organizations in the country, and, like us, it is committed to ensuring all individuals have the right to justice within our system. The American Association for Justice, formerly known as the Association of Trial Lawyers of America, is the largest trial bar in the world. The AAFJ is committed providing its members with the professional support and information they need to more expertly represent their injured clients. Through the AAFJ’s efforts to ensure that all citizens have access to a fair and effective justice system, members of the association have improved communities, promoted safety and accountability, and enhanced the practice of law across the U.S.
Driving under the influence has become a top priority for law enforcement, and our attorneys are committed to ensuring their goals are carried out within the law and without compromising the rights of individuals. For this reason, we are proud members of the American Association of Premier DUI Attorneys. What sets our Tempe lawyers apart? We work hard to maintain our reputation for service and committed representation. 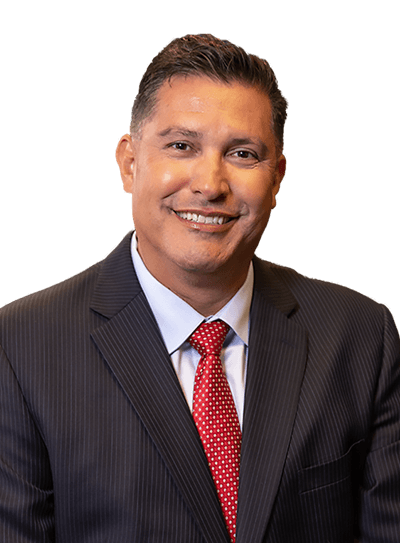 We have recovered millions of dollars for our personal injury clients, and Attorney Richard Suzuki is a member of the Million Dollar Advocates Forum® - a distinction achieved by less than 1% of attorneys in the United States. We're prepared to protect your interests and your future after an accident. Arrested in Tempe, Arizona? We can fight for you. Our criminal defense practice is similarly distinguished: All of our attorneys are former prosecutors. We are members of the Arizona Trial Lawyers Association and the National Association of Criminal Defense Lawyers. For a free evaluation of your criminal defense or DUI case, call us today at (480) 568-6622. See what clients of our firm say about working with our attorneys. Why Choose Suzuki Law Offices, L.L.C.? We're here for clients when they're in need, whenever they're in need. Our team includes former prosecutors with decades of experience. We work personally with clients and fight to protect their interests.